Let’s hear it for moms! Here’s to the women who tackle the #World’sToughestJob and deserve nothing short of oodles of praise and attention. Though we mean to constantly let them know how much we love and appreciate them, we often fall short on our follow-through, which is why we’re grateful we have a day set aside just for them where we can lavish heaps of Mother’s Day messages on them that are chock full of love and praise for all they do. 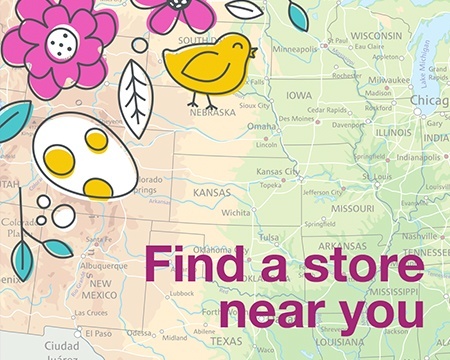 You’ve probably started thinking about sending cards to your mother, mother-in-law, and grandmother — and don’t forget your sisters, and yes, those pet moms, too! 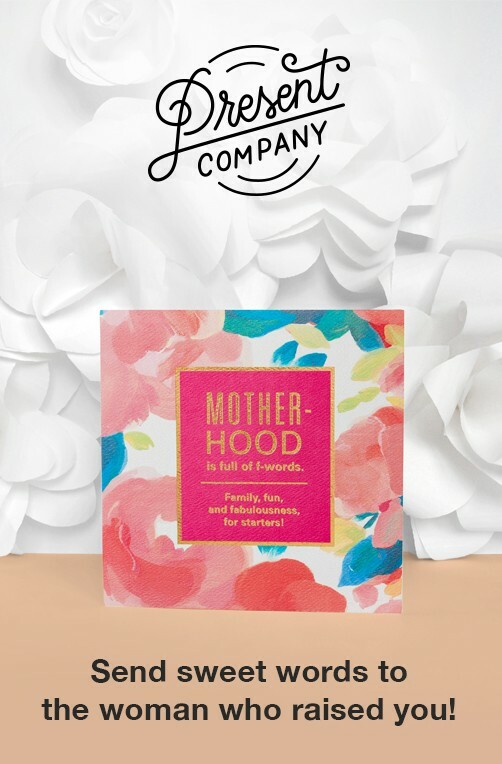 All these women in your life will LOVE to get a Mother’s Day card from you affirming what great moms they are, so here are some ideas you can use to let them know you see how hard they work and appreciate them for all they do. I see you in things I do, I hear you in things I say — and these are some of the things I’m most proud of. Now that I know what it’s like, I really don’t know how you did it – and did it all so well. I’m so grateful, though, that I had such a good example to follow. Love you, Mom. I hope that I can be even a fraction of the wonderful mother you were to me. Have a beautiful Mother’s Day. The truth is, no matter how old we get, we’ll always need our moms. And there will always be things she deserves to hear. Mom, when you thought I wasn’t looking — I was. Thank you for the million ways you supported, encouraged, helped, and loved me. For all the times I didn’t say it but should have…thank you, Mom. I love you. The truth is, Mom…you were pretty much right every time. Thanks for all the good advice, even if it took me awhile to get it. You’re a beautiful person inside and out, and there’s no way you could be anything but a fantastic mom. Get ready for a collection of gifts made with noodles…and love like you’ve never known. Take time to take it all in…and know how loved you are. Happy 1st Mother’s Day! The mother of your spouse oftentimes may get overlooked, but let’s not forget who gave you your fab partner to begin with. 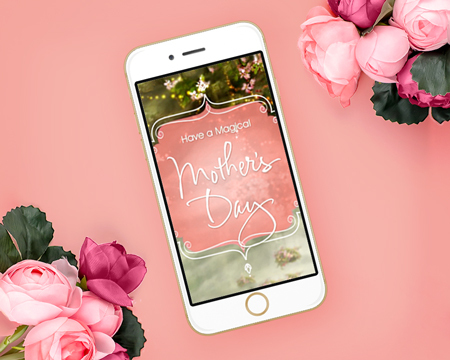 Make her day by sending her some love, too, with a special Mother’s Day message for your mother-in-law. I hope your Mother’s Day is filled with things that make you smile. Out of all the mothers-in-law out there — I got the best. Have a beautiful day. Most partners want to acknowledge their ‘better half’, highlighting that they’re the ‘glue’ that makes it all work and keeps their family going. You’re my best friend and a wonderful mother to our children. Everything you do makes our lives so special, and you deserve a beautiful Mother’s Day. You don’t hear it nearly as often as you should, but I appreciate you ­and love you for all you do for me and the kids. the comfort, the support, and the love that only a mom like you can give. I know I’m not the best at saying things as much as I should, but I’m always thinking how lucky I am to have someone like you who’s an incredible wife and mother. You deserve a Mother’s Day that’s every bit as wonderful as you are. I don’t know how you do it all, and I especially don’t know how you make it look so easy. I could never do this without your and your love. You count on them for their support and skill at putting out ‘fires’ (which seems an everyday occurrence). Let them know nothing they do goes unnoticed or unappreciated. When you’re frazzled, running ragged, and think no one appreciates all you do…I do. Every day. This Mother’s Day is all about letting you know how much I admire you and everything you do for our family. and I appreciate you every single day. There’s no one I’d rather do this whole crazy parenting thing with than you. For all the sacrifices and the many ways you show up for our family…thank you. She’s got so much going on and then some. Give her an uplifting message that says you realize how awesome she is at the whole mom thing. It’s your day — shine like the mom rock star you are. You are freakishly-good at the whole mom thing. Go you! Wishing you another year of wowing everyone who knows you. Have a great Mom’s Day! Amazing friend and awesome mom — that’s you! Your kiddos have the best mama of all. Cheers to you today! There’s nothing more meaningful (and memorable) than having your mom acknowledge that you’re a pretty darn good mom yourself. I always knew you’d become a wonderful mother because you’re such an amazing daughter. Enjoy your Mother’s Day. I’m wishing you a Mother’s Day that’s every bit as special as you are to me. On Mother’s Day and always, I hope you know how loved you are. Seems like yesterday I was holding you in my arms. Watching you with your own children fills me with so much pride. Enjoy every moment. I couldn’t ask for a more wonderful daughter and mother for my grandchildren. Love you so much. She’s not only taking care of your adorable grandkids, but she’s also caring for your own kid, too, and it’s the perfect chance to tell her she’s doing a great job. My grandbabies are so lucky to have such a good mama like you. You deserve to have a wonderful Mother’s Day. Your family knows how fortunate they are to have you — and so do I. Enjoy your Mother’s Day! Hope you know how much I appreciate all the work and good care you give your family every single day. You do so much every day that I hope you relax today! You deserve it! You really take such good care of your kids (and mine!). Thank you for all you do. You’ve watched and helped each other go through ages and stages. Let her know how much you admire the great mom she turned out to be. Despite how hard and frustrating it must be at times, just want you to know that you’re a really good mom. I know it must be easy to think you’re doing it all wrong, but from what I see you’re doing it all so right. You deserve a fantastic Mother’s Day. You may not always see or realize all she does, but she’s caring for your precious nieces and nephews 24/7, and would love to have nod from you that she’s doing an A-OK job. I know being a mom is the hardest thing ever – thanks for all you do. Have a great Mother’s Day. You’ve always felt more like a sister than in-law. Hope you know how loved you are and that your Mother’s Day is amazing. May your feet be up and your wine glass full! Have a great Mother’s Day. Thinking of you today with lots of love. Enjoy your Mother’s Day! To a great sis-in-law – you’re the best and you deserve a great day. Your love and support have always meant the world to me. I hope your Mother’s Day is as beautiful as you are. You’re such a blessing to our family. Thank you for all the love you give and everything you are. Your aunt would love getting a card full of happy wishes that make her realize how special she is to you. You always made me feel like one of your own, and I’ll never forget how special that felt. Hope you have a beautiful day. I want you to know that I’m thinking of you and wishing you the happiest Mother’s Day ever. Thank you for being a mother, friend, and confidant. Don’t know what I’d do without you. When I think of you, I think of how your smile lights up a room, and just by your being there, everyone feels happy. Love you so much. You deserve a Mother’s Day that’s every bit as special as you are. Love you lots. You’re the best aunt ever. Thanks for being there for me in all the ways that mattered. Your niece took cues from you and the rest of the family on how to navigate the family circle, and now that she’s a mom herself, your thoughtful wishes couldn’t be more wanted. You’re the sweetest niece who’s also a really good mom. Thinking of you today and hoping you enjoy your Mother’s Day. Raising kids is tough, but you’re tougher. You’re such a good mom, and I’m so proud of you. Hope that Mother’s Day is full of things that make you feel loved. You deserve it! Every time I think of you I smile. I know you have so much going on, so I hope you take some time for just yourself today to relax and renew. Your sweet kids are such a testament to what a great mom you are. Cheers to you! You’re good at taking care of everybody else, but today it’s all about YOU. Enjoy your day! She wants to be there for you, yet tries hard not to ‘replace’ your biological mom. That’s a tough balancing act, but she does it because she loves you. Knowing she’s doing ok by you would mean the world to her. Thanks for being such an important part of my life and trying so hard. I appreciate you every day. You give so much to our blended family, and I know it’s not always easy. Today, it’s our turn to take care of YOU! Not only are you my stepmom, but you’re my friend, too, and that means so much. I wish you a day full of all the things you add to our lives: fun, laughter, and love. Thank you for always making our home such a warm and comforting place to come back to. I hope you have a wonderful Mother’s Day that’s full of all your favorite things. Whether you met her in her infancy or much later, you tried your best to show her what it means to be a good mom. Now she’s trying, too, and a note of love and encouragement would give her all the feels. I’m so proud of the woman and mother you’ve become, and I wish you the happiest Mother’s Day. Remember that I’m always here if you need me, and I’m thinking of you and wishing you a beautiful Mother’s Day. Hope this day reminds you of what a special mother and stepdaughter you are. A stepdaughter like you is one of the best things that could ever happen to a family. Hope you feel how loved you are today and every day. Watching you with your family reminds me of us and all the special memories we share. Let’s leave the ‘step’ out of it — you’re my daughter, and I love you and wish you a beautiful Mother’s Day. Maybe you were close, or maybe you kept each other at arm’s length — just as most sisters do from time to time. But the love remains and always feels good when it’s shared. Always figured you’d make a pretty cool mom, and you totally are. Have a great Mother’s Day. Nothing’s too good wish for a great stepsister like you. Hope you’re reminded all day of how loved you are. You should feel really proud of the mother you’ve become, because you pretty much rock. Enjoy your special day. You were there for me from the moment we met — your kids are so lucky. Love ya. Just seeing you happy with a beautiful family of your own makes me happy, too. I know how hard you try every day; that’s what makes you such a great mom. If only all pets could have the kind of love you give. You rock! There are lots of great pet moms out there, but you totally win Pet Mom of the Year. 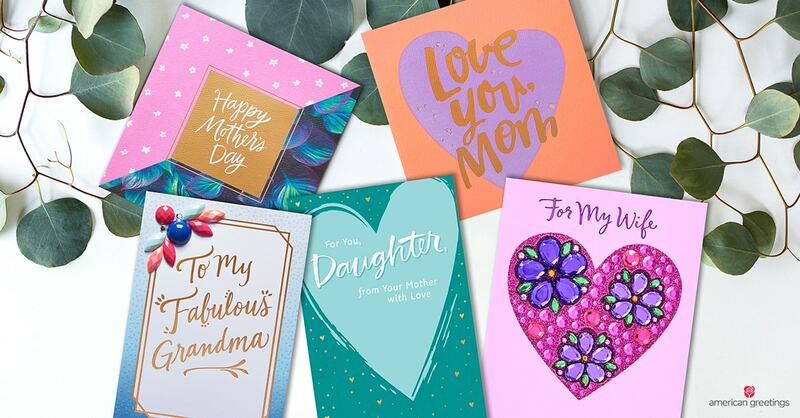 Whatever you decide to write in your cards, one thing’s for sure—the special ladies in your life are going be so touched that you thought of them and sent some Mother’s Day love their way. Here’s to moms! 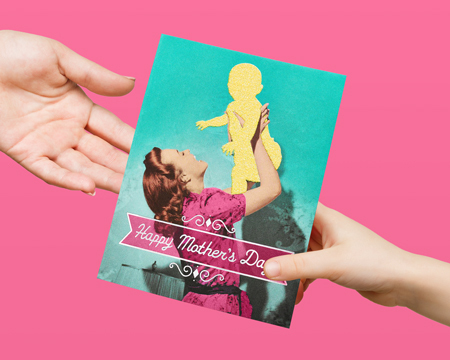 Share Mother’s Day greeting cards from the heart! Share exceptional ecards with exceptional moms! Give her the love & thanks she deserves!